GFNY is a personal endurance challenge in which you compete with others and yourself. 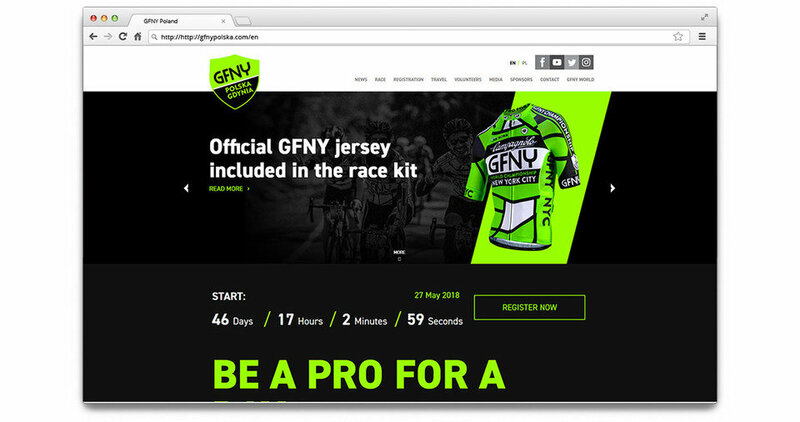 World GFNY races are the highest organizational level in every place in the world. It's also an opportunity to qualify for the final race, which take place every year in New York. 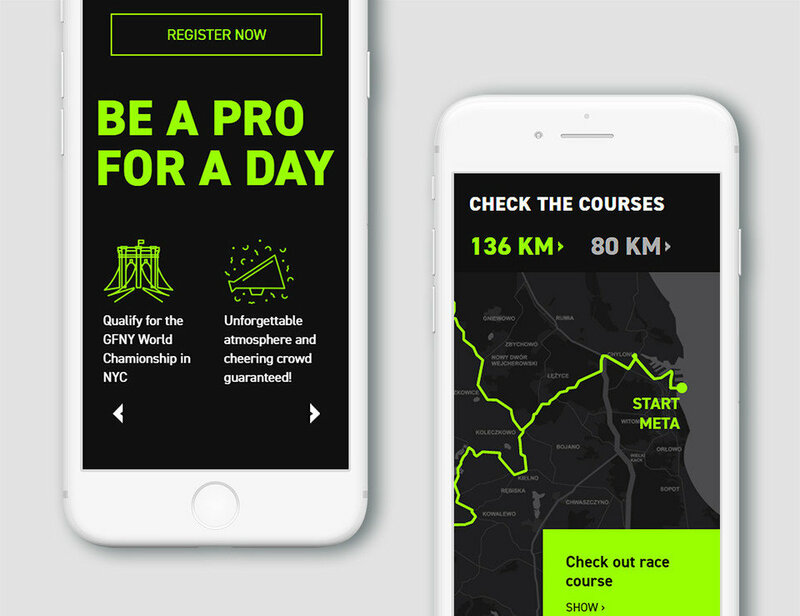 BE A PRO FOR A DAY - this is the motto of the race, supported by the organization and setting of the race. Design the responsive website that reflects the energy of the event. Graphic support for communication channels promoting the event. Unlike many websites of sport events, it is not just a simple landing page. We handed the client a full-fledged, bilingual website with many extra features for editors.